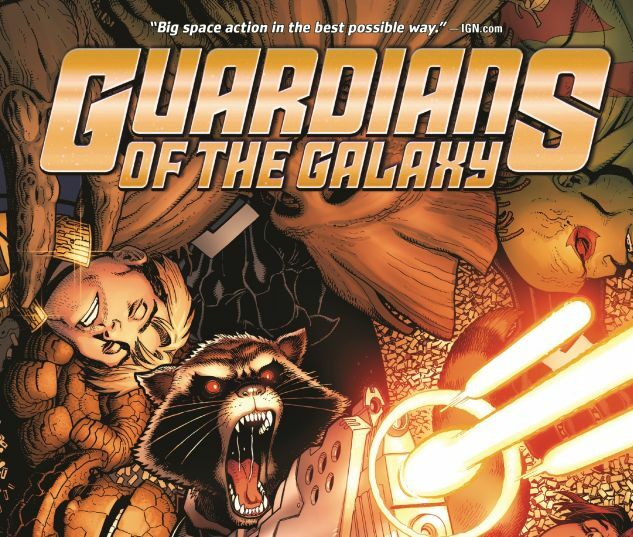 When Peter Quill abandons the Guardians to become Emperor of Spartax, Rocket grabs the reins as team leader - backed up by Drax, Venom, Groot, Kitty Pryde and brand-new Guardian Ben Grimm, the Ever-Lovin' Blue-Eyed Thing! But what could put the team in Emperor Quill's crosshairs? Meanwhile, Gamora makes her return - but will it be a welcome one after eight months away? Plus: Yotat the Destroyer is here - and he will have blood. Venom and Groot face Skrulls! 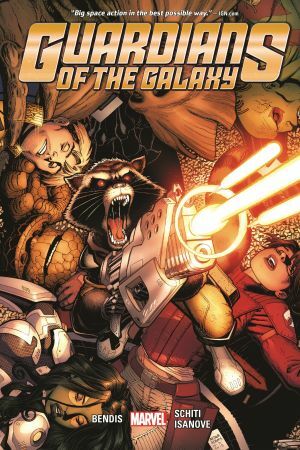 Drax and Gamora take the fight to the Badoon! Angela makes her deadly return! And are you ready for Ben Grimm: Space Barbarian? But with Kitty taking on a certain "legendary" mantle, is the galaxy big enough for two Star-Lords? They're the galaxy's most wanted, but they'll still guard it all the same! Collecting GUARDIANS OF THE GALAXY (2015) #1-10.